TOKYO, Japan, August 5, 2013 (ENS) – Four of Japan’s largest automakers will work together to promote the installation of chargers for electric vehicles and build a charging network that offers greater convenience to drivers in Japan. Toyota, Nissan, Honda and Mitsubishi announced on July 29 that, with subsidies from the Japanese government, the four automakers will bear part of the cost to install the charging facilities. They will also work together to build a convenient and accessible charging network in collaboration with companies that are already providing charging services in which each of the four automakers already have a financial stake. Today there are about 1,700 quick chargers and just over 3,000 normal chargers in Japan, which is considered to be insufficient. Coordination among existing charging providers can be improved to offer better charging service to customers. The Japanese government has announced subsidies for installation of charging facilities totaling 100.5 billion yen (US$1 billion) as part of its economic policy for fiscal year 2013 to quickly develop the charging infrastructure and expand the use of electric-powered vehicles using alternative energy sources. Right now, each prefecture in Japan is defining its vision for the use of the government subsidies. With this support, the four automakers will work together to install the chargers. Before this agreement, each automaker assessed potential locations for charging facilities on its own. Now, they will work together to get the infrastructure built quickly during the limited period that the government subsidies are available. Drivers of plug-in hybrids and plug-in electric vehicles would benefit from an expanded charging network because it would maximize EV driving performance and combined fuel economy. Electric vehicles could take advantage of a larger charging network to extend their range during longer trips. 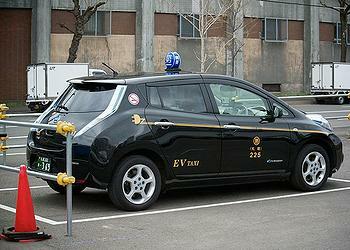 Under the agreement, the four companies will promote installation of chargers in Japan. Studies are underway to increase the number of normal chargers by 8,000 and quick chargers by 4,000. Normal chargers could be installed in commercial facilities such as large shopping malls, home improvement stores and family restaurants, which are destination charging spots or en-route charging spots with longer duration stops such as highway service areas and roadside stations when a vehicle could be charged. Quick chargers are to be installed at en-route charging spots for shorter-durations stops such as highway parking areas, convenience stores and gas stations. 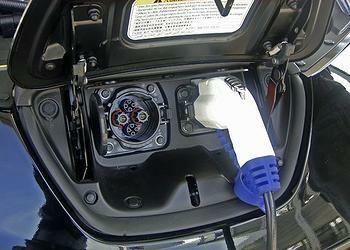 EV drivers will be able to charge their car at any charging spot with the same card. Collaboration among companies that now provide charging services in which each automaker has already invested – Japan Charge Network Co., Ltd., Charging Network Development, and Toyota Media Service – would lead to the creation of a more convenient charging infrastructure network. Electric-powered vehicles are the driving force of alternative energy initiatives. The government aims to expand the use of the next generation of these vehicles and have PHVs, PHEVs and EVs achieve a ratio of 15 to 20 percent of new car sales in 2020.